Kurtis and Mike have arrived to talk about their new podcast, The Disney Dads Cartoon Afternoon! On the first episode we discuss what you can expect from Cartoon Afternoon, and what they’re looking forward to in the first season of the new Ducktales cartoon on Disney XD. 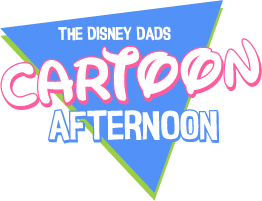 All that and more on the very first episode of The Disney Dads Cartoon Afternoon!